1891 Enoch John West left Calcott Brothers and West to set up his own company E. J. West and Co Ltd.
1897 West began designing cars, quadricycles, tricycles and motorcycles. (He also manufactured under the name of Progress Cycle Co). 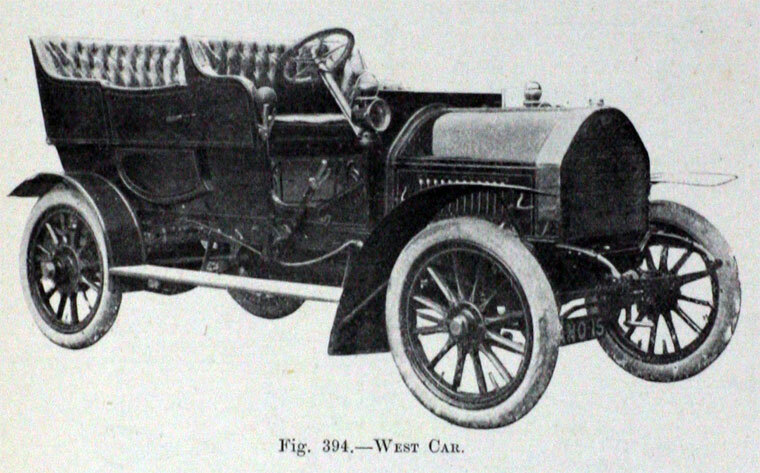 The company went on to produce over five hundred vehicles before going into liquidation in November 1903.
c.1905 West set up West Ltd; continued making cars, including the ‘West’ Light Car and others. The Academy was an English dual-control car built by E. J. West and Co of Coventry between 1906 and 1908. 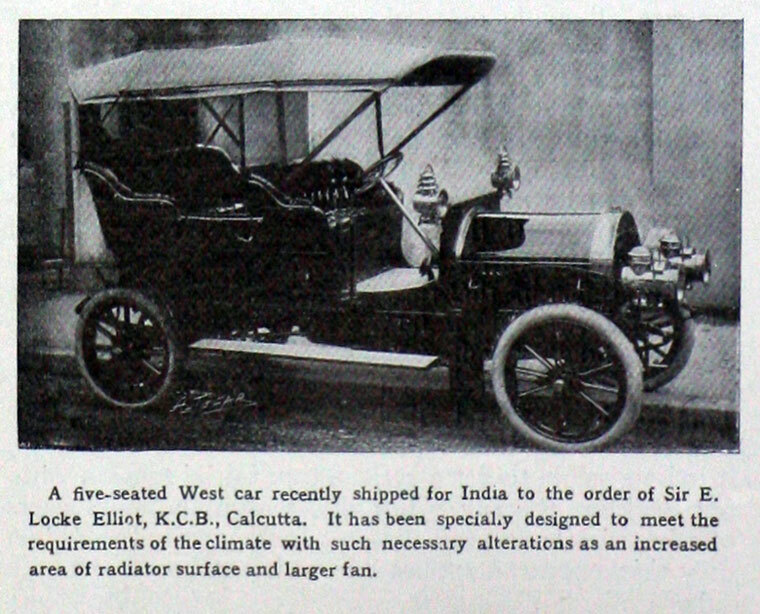 The car had a 14 hp 4-cylinder engine by White and Poppe. It was mainly sold to the Motor Academy in London, an early driving school who were probably the first to offer dual control but was also available to the general public. 1906 The company showed at the 1906 Olympia Show. This page was last edited on 30 November 2012, at 20:37.